It’s rough going in Houston right now. Horse Head ended operations earlier this month. But it was far from an isolated case. Many other small theater companies in Houston are also fighting for survival, battling gentrification, donor apathy and increasingly competitive public grants. In the past two years, one other professional company, 4th Wall Theatre, has announced its closure — before being rescued by a donor. Three others — Mildred’s Umbrella, Landing Theatre and Classical Theatre Co. — have been forced out from their homes. Established mid-tier theaters are seeing no growth. Rents inside the loop continue to rise, while revenue and fundraising have plateaued. If theaters like these continue to shutter, it would be an enormous blow to the performing arts in Houston, leaving the scene without the vital second-rung of talent to supplement what’s available on the better-funded main stages. The trends have raised concerns among local artists. Last December, Mildred’s Umbrella and Classical Theatre Company were forced out of their shared space in the Chelsea Market shopping center near the Museum District. The development was sold, to be torn down and replaced with high-end apartment complexes. This has left both companies homeless, in a search for space. But the Midtown Arts & Theater Center Houston (MATCH), built in 2015 to address the need of Houston’s smaller galleries, music ensembles, dance companies and theater groups for affordable performance spaces, is at capacity. Studio 101 at Spring Street Studios, Mildred’s Umbrella’s former home, became too expensive after then-co-tenant 4th Wall Theatre temporarily shut down in 2017. Local theaters sometimes help by renting out their spaces to other companies at a discount — the Alley Theatre is housing Mildred’s Umbrella’s performances for two weeks. But artists say they need a permanent solution. “Inside the loop, there’s nothing affordable,” said Jennifer Decker, artistic director of Mildred’s Umbrella. Obviously, the sharp rise in property values in what were once cheap inner-city areas is a problem for these theater companies, all of which operate on tight margins. Audience sizes haven’t been great lately, either – one theory I’ve heard is that the type of people who go to smaller and independent theater productions are also the type of people who have been spending a lot more time and energy on politics lately, with the decline in theater-going being a casualty of that. Perhaps that will turn out to be a cyclical thing. I agree with the view that having a thriving local theater scene is a big deal for a city’s overall quality of life and ability to attract high-end jobs. People who have a choice for where to live want to live someplace where there are lots of things to see and do, and especially in a city without natural attractions a strong arts scene is a critical component. There’s still plenty of donor money available for arts, but it tends to be very concentrated at the top. We need to figure out a way to spread the wealth around more, to find more places where theaters can be, and to just generally keep the scene healthy. It will be bad for us all if this ecosystem collapses. Expansion of Houston’s bike sharing system is pretty much in high gear after City Council on Wednesday signed off on a $4.1 million plan to roughly triple the number of bikes and kiosks. Seventeen of the stations in the medical center and Museum District should be operational by March, said Carter Stern, executive director of Houston’s bike sharing system. “The rest of the allocated stations will occur piecemeal as we finalize locations and secure the matching funding,” Stern said last month. This expansion was announced in August, with funding coming from a TxDOT grant and the nonprofit Houston Bike Share. Usage continues to grow as well, and in the parts of town where B-Cycle exists and will exist getting around on a bike often makes more sense than driving and parking. I look forward to further growth, and eventual further expansion. Good news for those of you who like having food delivered. A larger section of metro Houston now can use Uber’s meal delivery service seven days a week and with more dining options through a new app. A new UberEats app, separate from the Uber ride-sharing app meal ordering customers have used, launches Tuesday. “Houstonians have embraced UberEats, but we also know that with a separate app, we are able to give users a better experience,” said Sarah Groen, general manager for UberEats Houston. As of the app’s launch, 100 restaurants are participating. More are being added to the list, Groen said. The service’s operation hours have been extended beyond midday weekdays to daily between 10 a.m. and 10 p.m.
Users will be able to browse menus and order food from participating restaurants, and track drivers bringing their food. The service area has expanded beyond downtown and Midtown, and now includes the Galleria area, The Heights, Montrose, Rice Village, West University and Upper Kirby. Those areas have shown large demand for UberEats, where the company has received many requests from people asking for service, Groen said. In January, the company did test runs in the new areas and registered high demand. See here for the background. I’m still not the kind of person who likes to order food for delivery, so I’m still not in their market. But if you are, and you live in these areas, then these are good days for you. The Houston Business Journal and the Houston Press, both of which have maps of the expanded service area, have more. Some new food delivery options, at least for some people. Uber will expand its presence in Houston this week with the local launch of its meal-delivery service, UberEats. Beginning Thursday, Houston becomes the second city in Texas and the 10th in North America where Uber drivers will deliver meals. 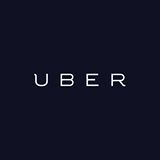 Customers in downtown and Midtown can use the Uber app to select from a list of 60 participating restaurants and place orders, said Sarah Groen, general manager of UberEats Houston. After customers order and pay through the app, the company says an Uber driver will arrive with the food – already in the car in temperature-controlled containers – within 10 minutes. “We keep that geography fairly small to make sure we can deliver on that promise of 10 minutes or less,” Groen said. Several app-based and online food delivery services already operate in Houston and for longer hours. They include GrubHub, Favor and DoorDash. Groen said Uber Eats differs because of its changing menus. Some participating chefs are creating specific meals for UberEats. I have no feel for how big a market there may be for something like this. We cook or we eat out – even when we order a pizza, from Pink’s here in the Heights, I pick it up. If you’re the sort of person that is into this sort of thing, then this is good news for you. We’ll see if there are enough such people to make this a success. I know there are a lot of people in the Heights that would like to see some bike share kiosks here, but as The Leader News reports, it will be awhile before that happens. The city of Houston’s B-cycle bike share program largely completed its second phase this week ahead of schedule and now boasts 21 stations and 175 bikes – but they’re all in downtown, midtown, Montrose, the East End and the Museum District-Hermann Park area. And Will Rub, head of the B-cycle program, says when the third phase is funded, it’s likely to focus on the Medical Center area. “We might start looking along sites along the Washington Avenue Corridor,” he said, “but that’s down the line.” Way down the line is the Heights, he said. Blake Masters, president of the Greater Heights Super Neighborhood, seems strangely calm about the area being passed over so far for the B-cycle kiosks. But there’s a reason. As part of a Leadership Houston class, Masters studied putting a bike share into Houston before the group learned that the B-cycle program was already on the drawing boards. He’s encouraged to hear that the Washington Avenue Corridor, which is in his Super Neighborhood, is on B-cycle’s radar. Parts of the Heights would also be “very logical” locations he said, naming the 19th-20th Street, White Oak and Studewood commercial areas. “We’d have to make sure the neighbors are on board with the plans, though,” he said. This makes sense to me. Bike sharing is for places to which people travel without cars, or for whom it’s inconvenient to get their parked cars for a short trip. That describes places like downtown and the Medical Center, but not the Heights. The Heights is a destination, not a point of origin, for bike sharing; if you’re in the Heights and you want to get somewhere by bike, you probably already have your bike with you. The downtown bike share network, which is somewhat akin to a transit network, is beginning to build spokes out of downtown, with kiosks in Midtown and parts of Montrose. 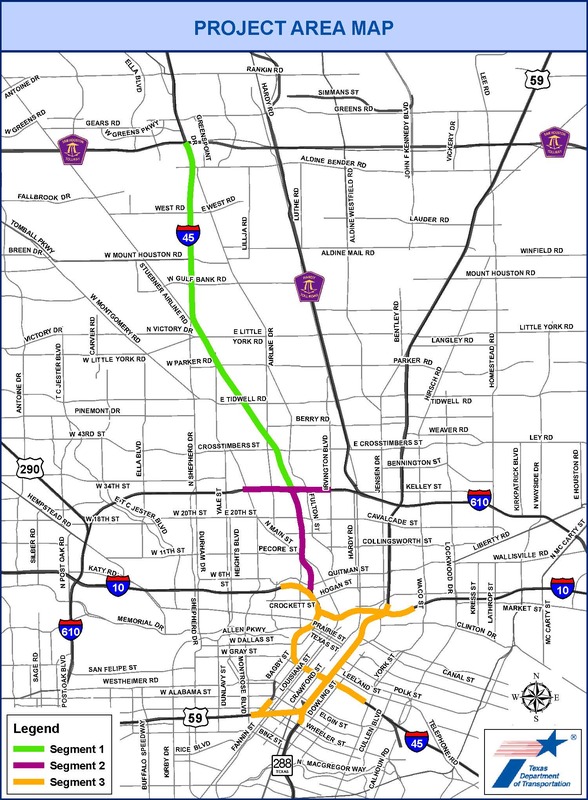 The Washington Avenue corridor, which is directly accessible from downtown, is a natural future spoke of this network. Once this extended network is robust enough to support spokes being built from other spokes and not from the hub, that’s when it will make sense to look at putting kiosks in the Heights, most likely in the locations suggested by Blake Masters. Alternately, as Metro’s re-architected bus route map gets built, or in the event of future streetcar/BRT/light rail construction along Washington, that may make Heights-area kiosks more attractive and useful. The kiosks are coming, I have no doubt about that, but the network isn’t ready for it yet. If you want it to hurry along, do what you can to make the existing B-Cycle network a success. Organizers of Houston’s bike-sharing program are excited about an increase in use of the community bicycles since 18 new kiosks around downtown and Midtown opened. After slow-going last year for the B-Cycle program, use of the bikes increased since the weekend, when word that many of the new stations were open spread on social media sites. The recent additions expanded Houston’s bike sharing network from three stations and 18 bikes in February to 21 stations and 175 bikes as of Wednesday. 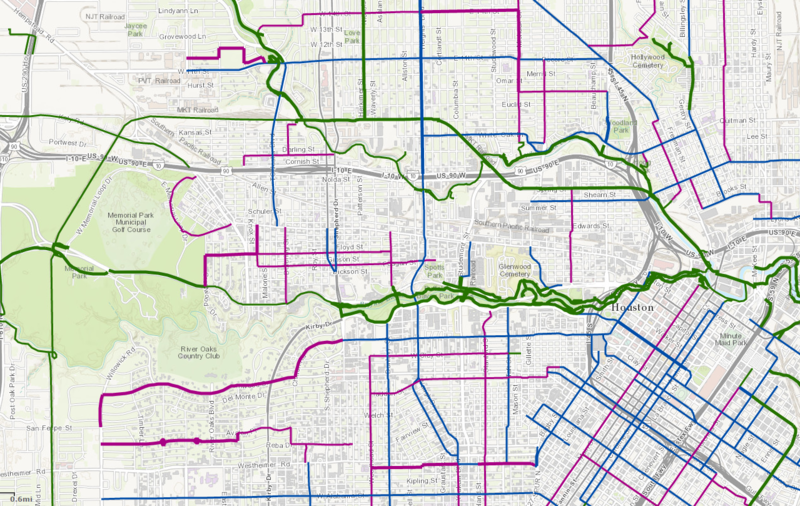 Three more stations and more bikes are planned next month, completing the second phase. A $750,000 deal with Blue Cross and Blue Shield of Texas paid for the expansion and operations. See here for the announcement of the expansion, here for the Mayor’s press release, and here for a map of the kiosk locations. According to Laura Spanjian, who responded to an email question I sent, the Week of March 18, with only 5 stations live, there were 150 checkouts and 84 memberships. The week of March 25, with 21 stations live, there were 500 checkouts and 312 memberships. This week has been even busier, with more than 75 new memberships sold at the weekly farmer’s market downtown. I bought my membership yesterday, too – my office is moving downtown in May, and there’s a kiosk a block from where my office will be. I’m very much looking forward to having non-car options for getting to lunch. As I said in my previous post, there are lots of good options for where to expand next, but let’s see some good numbers here first. I’m encouraged by how it’s going so far. Meet Houston’s first housing co-op. Technically, this is HAUS, the Houston Access to Urban Sustainability Project, a housing co-op for those willing to work for their cheap rent and board by making meals, cleaning toilets and recycling – lots of recycling. The three founders, who had lived in or visited co-ops in other cities, began working on the concept in 2010. They wanted to create a home that was kind to the environment, affordable and close to public transportation and light rail. One of them had purchased an old house on Rosalie in Midtown. They wanted to fill it with like-minded individuals who would promise to do things like plant gardens, hang their clean clothes outside to dry and use bikes to get around as much as possible. “What I love about what they’re doing is they’re walking the talk,” said Laura Spanjian, the city of Houston’s sustainability director, whose job is to focus on helping “green” the city through improving air quality, energy efficiency and recycling, among other efforts. The house itself is a sharp contrast to the fancy townhomes that have cropped up around it. The housemates take their mission seriously. Everyone who moves in is required to sign a “sustainability pledge.” Applicants must attend at least two house dinners before being accepted. Everyone shares in running the houses. Many of the residents hold officer positions to manage such house operations as maintenance, gardening and the kitchen. The “labor czar” makes sure everyone is doing their share of the housework. Each person is responsible for contributing five hours of labor to the house per week. The Press wrote about HAUS back in 2011. They’ve since expanded to a second house. I might have found this appealing when I was single – I had at least one roommate for eight of the ten years I lived here before I was married, and I like the idea behind HAUS. Obviously, this isn’t for everyone. It’s a niche market, but the niche is likely to grow. People are staying single longer, and there’s a lot more interest these days in living in the urban core, near transit, but there’s a shortage of affordable housing, at least at this time. There’s a lot to like about this if you’re a fit for what they’ve got to offer. If that describes you, go to their website and put in an application. I wish these folks all the best. 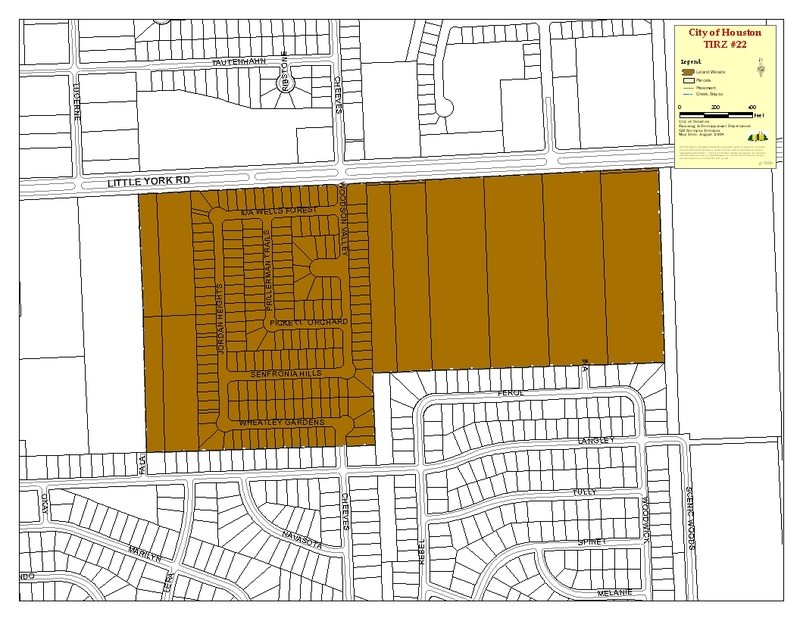 Why does Midtown need a big box store? Still, Midtown has yet to see any significant new retail, retail broker Ed Page said, referring to big-box stores like Target, TJ Maxx and Best Buy. “I believe at some point in time that hurdle will be crossed, and I think there will be a significant retail project down there,” said Page, managing partner of UCR moodyrambin PAGE. Why does Midtown need someplace like that? Midtown has grown as a dense, reasonably walkable area with convenient access to the Main Street light rail line. Big box development is the antithesis of this. In fact, as Andrew Burleson showed, big box development stops nascent walkable development in its tracks. Why do that to Midtown? It’s not like big box stores are unavailable to Midtowners. All three of the places mentioned in this story have locations near 59 and 610, which is to say a 10 minute or so drive from Midtown. So I ask again, why does Midtown need someplace like that? It makes no sense to me. The plan has always been to expand the program, and Laura Spanjian, Mayor Annise Parker’s sustainability director, first alluded to a search for new locations in early June. “We’re going to have about 20 new kiosks and about 205 new bikes,” Spanjian now tells CultureMap. That would bring the total to approximately 225 bicycles inside of the Loop. Spanjian says that the expansion, which was made possible through grant funding, will bring B-cycle sites to high-density neighborhoods with big office buildings and apartment complexes. Come October, expect to see another 10 downtown kiosks, plus a few each in Midtown, the Museum District and Montrose. A leftover kiosk may be granted to the burgeoning East End. I inquired with Spanjian about this and was told that so far there are 650 members in Houston B-Cycle and over a thousand check-outs at the three downtown kiosks, not too bad for our wet summer. There will be a full array of stats and numbers relating to the program around the time of the expansion in October. I don’t spend much time downtown but I did see a few people riding by on those easily recognizable bikes on the western end of the Buffalo Bayou trail near Shepherd a few days ago. I expect to see a lot more of them in the fall. Katharine Shilcutt writes about how she gets to some of her favorite restaurants. When owner Staci Davis decided on a location for her restaurant, Radical Eats, one thing was extremely important to her above all: Davis wanted her vegan paradise to have access to the new Metro light rail North Line that’s currently being built along Fulton. When the line is completed, riders will only have a few short blocks to walk from the Moody Park station to her restaurant. For now, the construction and the dust are a bit of a nightmare, but Davis insists that it’s worth it. And at the new 8th Wonder Brewery that’s being built in EaDo, the planned Stadium stop on the East End Line will not only service the Dynamo’s shiny new stadium — it will bring visitors to the craft brewery as well as to concert venues like Warehouse Live and restaurants like Huynh. I ride the light rail to the Museum District and to Reliant Stadium so that I don’t have to deal with parking. I ride it to my doctor’s appointments or to visit hospital-bound friends in the Medical Center (or to eat at Trevisio) because the only thing more confusing than the hospital corridors themselves is trying to recall where you left your car. I ride it to the Best Block in Houston to see shows at the Continental Club, to get cocktails and coffee at Double Trouble, to eat brunch at Natachee’s or dinner at t’afia. I ride it to the Preston station and get my movies at Sundance or my culture at Jones Hall. And, as you would expect, I ride it to restaurants up and down the line. People will often complain about walking in the Houston heat — that’s why we have tunnels, after all — but the funny thing is this: You get used to it. Really fast. And walking off a meal is one of my favorite activities to do outside of eating the meal itself. If more of us did this (myself included, as I don’t walk nearly as often as I should), Houston would undoubtedly remove itself from the running each year as the Fattest City in America. Walking is good. Try it. On that note, we’ve put together a handy visual guide — to scale, no less! — of all the lunching and dining options off the main stops on the light rail. Some will require a bit of a walk (perhaps five blocks at most) while others are literally right in front of the stop itself. If you use it online, you’ll note that you can click on the restaurant names to be taken to a site about the restaurant itself. If you print it out, you can use it as a visual reference when you take your first heady steps into the rail car before it rattles and shakes off into city. You can see the map here. 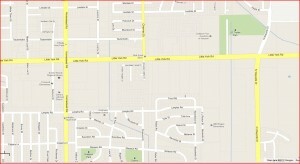 That’s a link I plan to keep handy for visitors who are staying or doing business downtown or in the Medical Center. Be sure to read through the comments, as several people noted places they overlooked. There will be a version of this map the June 28 dead tree edition of the Press, so look for that as well. This map is just for the Main Street line, but Katherine says (in response to my comment) that they will do this again later for the three that are under construction. I’m looking forward to that. Couple things to add. One, I totally agree with Katharine about walking and the heat. It really isn’t that bad, especially if the sidewalk you’re on has some tree cover. I’ve been bringing my bike with me to work and using it to get to lunch instead of driving, and I’ve actually been surprised by how little the heat has affected me as I bike around. Sure, I do work up a bit of a sweat, but I haven’t melted yet. And remember, eight months out of the year the weather is generally pretty darned nice here, much better for the most part than in many transit-and-pedestrian cities around the country. This is Houston, y’all. We don’t let a little heat get us down. If you look at the map, you’ll note that the vast majority of dining locations are at or north of the Ensemble/HCC station. They didn’t bother to extend the map any farther south than the Museum District station, and as someone who works near the Smithlands stop, I can confirm the dismal lack of lunch options in the vicinity. 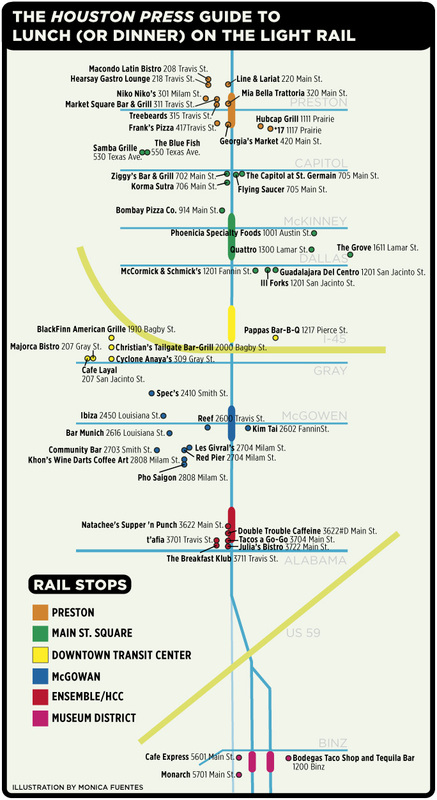 The sheer paucity of eateries in the Medical Center – there’s a Subway and a Chipotle at the Dryden/TMC stop, and pretty much nothing else there or at the other two stops, unless you walk to Hermann Park to go to Little Big’s – is as frustrating as it is confounding. With the thousands of people that work and visit there daily, you’d think some entrepreneur would see a golden opportunity to fill a giant niche. Available space is an issue, of course, but still. That’s got to be a huge potential market. All those people have to eat somewhere. What do you do for lunch if you work in the Med Center? Despite public and private attempts to revive a shopping scene downtown, the retail market has struggled. Some stores like Forever 21 and Books-A-Million have opened, but most of the activity in recent years has come from restaurants and bars. Last year, 16 street-level restaurants and bars closed, including three that had been open less than a year, according to the Houston Downtown Management District. At least one relocated and a couple of others lost their leases. “A lot of nighttime traffic has moved over to different parts of town,” said Sherman Lewis, one of the owners of Cabo, a shuttered Mexican restaurant that helped popularize the fish-taco craze. But even as the market for downtown retail and restaurants remains shaky, and sometimes unsustainable, new businesses continue to open. Owners now pin their hopes on new residential and office towers, public investment in parks, transportation and the area around the George R. Brown Convention Center, and an overall economic rebound. The downtown district counted 24 establishments that opened last year, and at least a couple more have opened or will do so early this year. Most are in the food and bar business. One was a large grocer. The number of residents has been slow to grow. About 12 years ago, some 3,000 people lived downtown and officials were projecting that number to triple by 2010. 1. Given the state of the economy, having more businesses open than close in the past year sounds like a win to me. All things considered, it could be a whole lot worse. 2. Having nearly fifty percent population growth over the past decade isn’t too shabby, either, even if it’s well below the rather optimistic projection. As one of the commenters on the story says, it’s a bit of a chicken and egg problem – people don’t want to move in until there are more amenities, but until the population increases sufficiently there isn’t enough support for those amenities. Part of the issue is getting residential construction off the ground. Discovery Green was a boon for that, and the proposed Convention Center district includes some further residential possibilities. I’d still like to see a focus on making something happen with the derelict properties downtown, as they seem to offer the greatest potential for residential growth. 3. These things do take time. As noted previously, Midtown took the better part of 20 years to get where it is. I don’t know when exactly downtown’s renaissance is supposed to have begun, but by my measure it started after Midtown’s. It’s not there yet, but it’s come a long way. There are two things about this Chron story about the residential population of downtown that I find curious. Twenty-five years after the residential development of downtown Houston began in earnest, fewer than 4,500 people reside in the city’s central core, an area bounded by Interstates 45 and 10, and U.S. 59. The exact number isn’t clear – the 2010 Census found fewer than 3,500 people, once those in the county jail and a federal detention center are discounted. That would be fewer than 1,300 new residents over the past decade, or an average of just 130 people a year. Advocates for downtown suggest the true number is closer to 4,300, when people who live downtown while working a temporary job are included. But even that falls far short of the once-heady dreams for downtown, with predictions that the population would approach 20,000 by 2025. Blame the recession, as financing stalled for projects to convert existing buildings to apartments or to build new high-rises. And blame the growth of neighborhoods surrounding downtown. Midtown and EaDo, just east of downtown, have added several thousand residents in the past decade. They are close to downtown, but land costs – and apartment rents – are lower. For one thing, I’m curious about the calculations made in this article. It was just two months ago, in the sidebar to a story about infill growth, that the Chron told us that ZIP code 77002, which mostly covers that I-10/I-45/US59 area, grew by 28% to nearly 17,000 residents. This isn’t an exact comparison – 77002 includes turf a bit north of I-10, a little patch east of 59, and bits south and west of 45. It doesn’t include the far northeastern corner of “downtown” as defined here, near where 59 and 10 cross. 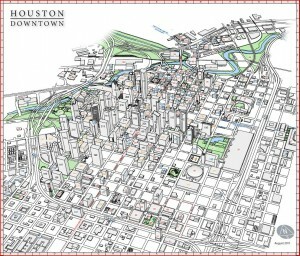 The tiny 77010 ZIP code, which is more or less where Discovery Green is, is also downtown. Still, that’s a big discrepancy. If the figure cited in the earlier Chron story is accurate, then surely it’s not the case that 75% of 77002 lives in those small areas outside the three freeways. But then if that’s the case, how are they counting the population in this story? Something’s not right here. The other thing about this that I found curious was the glass-half-empty tone. So what if “downtown” has seen slow population growth? There’s plenty of growth all around downtown, in Midtown and the Fourth Ward and EaDo. Maybe all of those folks can’t easily walk to work like the true downtowners can. But some of them are able to, and most of the rest can easily bike or take a short bus ride. Some can take the light rail, and others will be able to soon. And as the story notes, there’s a lot more to do downtown than there used to be, even if it’s declined a bit from its peak due to the recession. If you’ve lived here long enough, think back to what downtown was like 20 years ago. Not even close, right? The measure of the area is a lot bigger than one number. I don’t see what the problem is. When the Main Street light rail line opened in 2004, there were hopes that transit-oriented developments would follow, particularly at rail stops, but there has been relatively little growth. One notable exception is the block next door to the soon-to-open shops at 3600 Main, at the Ensemble/HCC stop: 3700 Main, which houses the Continental Club, the Breakfast Klub, T’Afia, Julia’s Bistro and Mink bar. Four businesses on the 3700 block — the Continental Club, Tacos A-Go Go, Sig’s Lagoon and Big Top Lounge — were developed by Bob Schultz and his partners Steve Wertheimer and Gordon, and investors. Some of those businesses, including the Continental Club, predate light rail. Ed Wulfe, chairman of the Main Street Coalition, a group aiming to enhance the street, offered reasons why only a relative few blocks have been developed along the rail line: land speculation, which causes real estate prices to soar and makes development less desirable; the lack of incentives to encourage development; and the recession. It all depends on how you look at it. Christof Spieler documented in 2007 a whole bunch of new construction and renovation work done along and nearby the Main Street Corridor. The vast majority of it was downtown or in the Medical Center, though there were a few things in Midtown. My own observation is that much of what I’ve seen happen in Midtown, before and since the construction of the light rail line, has happened on the streets near Main Street, but not so much on Main Street. For whatever the reason, that’s been a much tougher nut to crack. Tomorrow night at 7 PM at the Trinity Episcopal Church located at 1015 Holman Street at Main (map) is a public meeting for the H-GAC Livable Centers Study of the Ensemble/HCC Station area in Midtown. You can click on the flyer for the details, but the basic idea is to figure out how to enable pedestrian-friendly development around there – more comfortable sidewalks, building regulations that actually allow good urban buildings, holistic parking solutions, that sort of thing. If urbanism is your bag, this is the sort of thing you’ll like, so check it out. We don’t get a lot of competitive Council race in Houston that don’t involve an open seat. As I’ve noted before, we may get one this year for At Large #5. One of the candidates seeking to unseat incumbent Council Member Jolanda Jones is Carlos Obando, who was the first to announce his candidacy. Obando is a Bellaire native who has worked abroad in the investment industry, and owns his own public relations firm. He was a candidate in the GOP primary for HD134 last year. Obando is a resident of Midtown. REV Houston is back in the news. The drivers of Rev Houston’s green-and-white shuttles zip through downtown picking up and dropping off passengers for tips. Here’s a tip from city officials: Follow the rules. To Rev Houston owner Erik Ibarra, his three-vehicle electric fleet — think stretch golf carts — is a carbon-free way to move people around downtown. To city officials, however, Rev Houston is an outlaw company, skirting ordinances to make a buck. I blogged about them in September, and the issues haven’t changed much since then. I think it’s clear these guys are a breed apart from taxicabs, and I think the city needs to consider addressing them as such. Some regulation is certainly required – ensuring they have adequate insurance, making sure the drivers receive safety training and certification, that sort of thing – but given that their domain is limited to downtown and parts of Midtown, it doesn’t make sense to regulate them like cabs. If they go beyond that area, then they can and should be re-evaluated – a well-written new ordinance can handle that. In the meantime, there has to be a better approach than this. One of the big problems in development today, in particular in the area of city planning, is distinguishing between good urban infill and mediocre urban infill. At first glance the two may look very similar, but they are not. Good urban infill has a great interface, like what you see in the photo above. Mediocre (or bad) urban infill does not. People don’t want mediocre infill, it adds density without adding vitality. People crave good urban infill, because when you combine density and great interface, you get the best part of urban life – vibrant and healthy street-life. 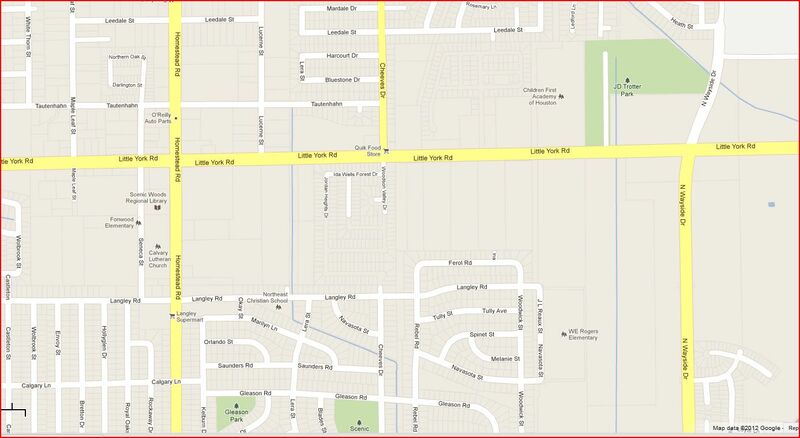 Click over to see the picture (there are several more) and read the post about how to do urban streets right, how to do it wrong, and how doing it wrong can have negative effects that can cancel out some of what was done right. Excellent post, well worth your time. See also this comment on Swamplot for a coda. Good to know some parts of town are still thriving. The recession seems to have forgotten about Midtown. A drive around the neighborhood reveals forgotten buildings undergoing restoration and new apartments being framed. This area between the Central Business District and the Texas Medical Center began its transformation in the late 1990s when Post Properties built an upscale apartment complex above street-level retail that’s attracted sidewalk cafes and boutiques. A tax increment reinvestment zone formed in 1995 has helped fuel development by pumping money into the area’s infrastructure. Matt Stovall, vice president of Midtown property owner Crosspoint Properties, said inquiries to lease office space in the company’s commercial buildings are on the rise. It’s just too bad that that original Post property remains the only such example of truly pedestrian-friendly mixed use development. If only there was to be a revision to the city codes that governed new development so that policies that encouraged that kind of building could be enacted. Having said that, as one who remembers what Midtown looked like 20 years ago, when it was used as the filming location for a movie set in post-apocalyptic Detroit, the place is several orders of magnitude better now. We didn’t call it “Midtown” back then – we didn’t call it anything, because there was no good reason to be there. Even if it’s a missed opportunity for urbanism, Midtown is a huge asset to the city now. Houston attorney Genora Boykins was able to persuade a lender to finance a roughly $2 million bed and breakfast called La Maison in Midtown that has broken ground at 2800 Brazos. The amount of real estate activity in the area helped too, she said. One of the largest projects is a $39 million apartment complex being developed on Travis by local developer Camden Property Trust. It’s going up just behind the Crosspoint retail and office project that houses acclaimed restaurant Reef. Boykins and her business partner, Sharon Owens, plan to open their B&B in next year’s first quarter. The seven-room property will be in a three-story build-ing designed to evoke New Orleans-style architecture. Rooms will run from about $175 to as much as $300 for one of the two suites. Gotta admire the optimism in that. I’m unsure how good an idea such a B&B would be in good times, but best of luck to ’em. I will note that this location is seven blocks away from the McGowen light rail stop, which will surely be a plus for them. I’d say the Main Street line overall has been a sizable boon for Midtown. Nearly 100 gay, lesbian, bisexual and transgender people were refused entry to Union Bar and Lounge in Midtown Friday while others were welcomed. Patrons started lining up at about 9:40 p.m. and were told to wait in line and not allowed inside, even as straight-appearing people were waved through. As the line grew and patrons waited in the rain, employees at the door told those who were that they were maintaining a “ratio.” Later, the bar employees simply indicated they had the right to refuse anyone. A patron who arrived at the bar early reported that the bar was nearly empty at about 9:40 p.m., when gay people started arriving and were stopped at the door. Gay people continued to line up to the street and around the corner as people who appeared to be straight went to the front and were ushered in. Kris Banks, who stood at the front of the line, said the bar employees were asking the women who were entering with men if the men were accompanying them. If the men were with the women, they were allowed in. That this kind of discrimination is still legal in Houston makes it more outrageous. A coalition of GLBT rights groups, including the Houston GLBT Political Caucus, the Houston Stonewall Young Democrats, the Harris County Impact Houston and Amicus at South Texas College of Law said Saturday that the incident is proof of the necessity of legal protections for sexual orientation and gender identity for public accommodations. The event was organized as Houston’s first “Guerilla Gay Bar,” a tongue-in-cheek event that has been popular in other cities in which GLBT individuals come to traditionally straight bars to interact with other communities. Though Guerilla Gay Bars are usually a surprise event in other cities, Houston organizers informed the bar owner in advance out of courtesy and were told they would be welcomed. One could charitably presume that there must have been some kind of miscommunication between the bar owner and the bar staff. If so – really, whether or not this is so – some kind of apology ought to be forthcoming from the Union Bar and Lounge for its atrocious behavior. I surely hope they don’t want this incident to be seen as typical for their business. UPDATE: Hair Balls noted the “Guerilla Gay Bar” concept a couple of days ago. There are now two groups on Facebook for those who want to register their disapproval with the Union Bar. UPDATE: On Yelp, at least one person who was there last night is disputing this account.